i was in india for almost three weeks after my hong kong sojourn, spending five days in bombay and then two weeks in delhi. 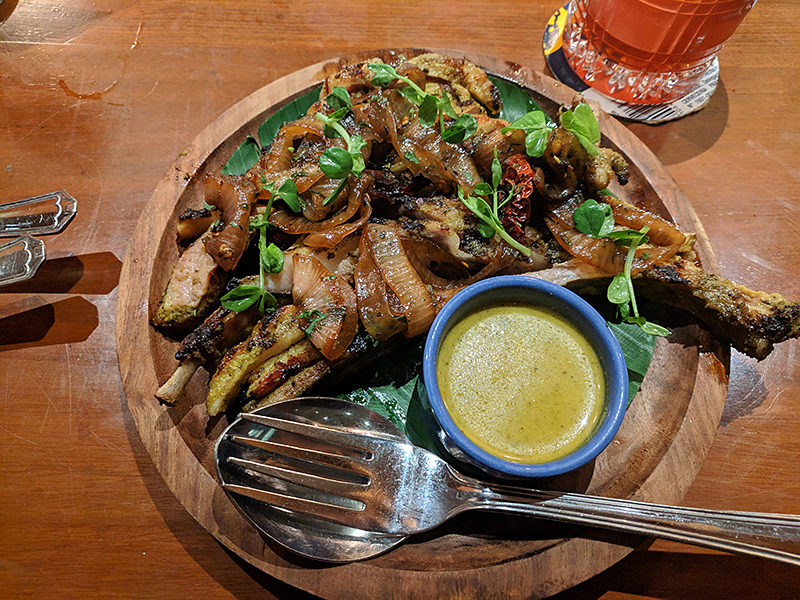 i ate every meal out in bombay as i was staying at a hotel--some solo, most with friends/people i was meeting with for work. my first meal report is from a true bombay food institution, swati snacks. this is a gujarati restaurant that underlines how complicated the traditional/contemporary binary is with indian food, especially gujarati food. OMG so much green food coloring. next up from bombay: dinner at jai hind lunch home in bandra (w). 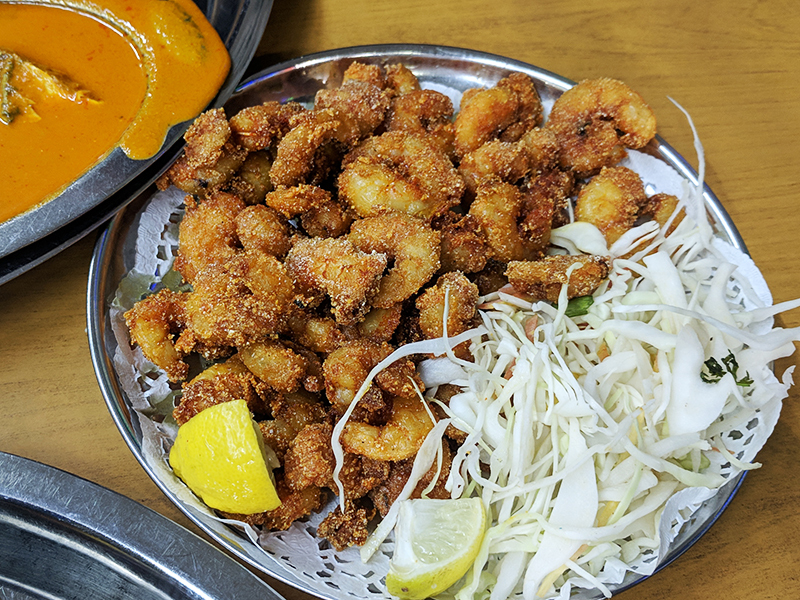 jai hind is one of a number of restaurants in the city that specialize in the seafood-based cuisines of the southwestern coast: mangalorean, konkani, malvani, goan. the distinctions between these cuisines are not always clear to me, a north indian, but this food--taken as a whole--is one of my favourites and there is no better place for it than bombay (and depending on who you talk to you will be told a different restaurant in the city is the best for it). not the most photogenic food though. 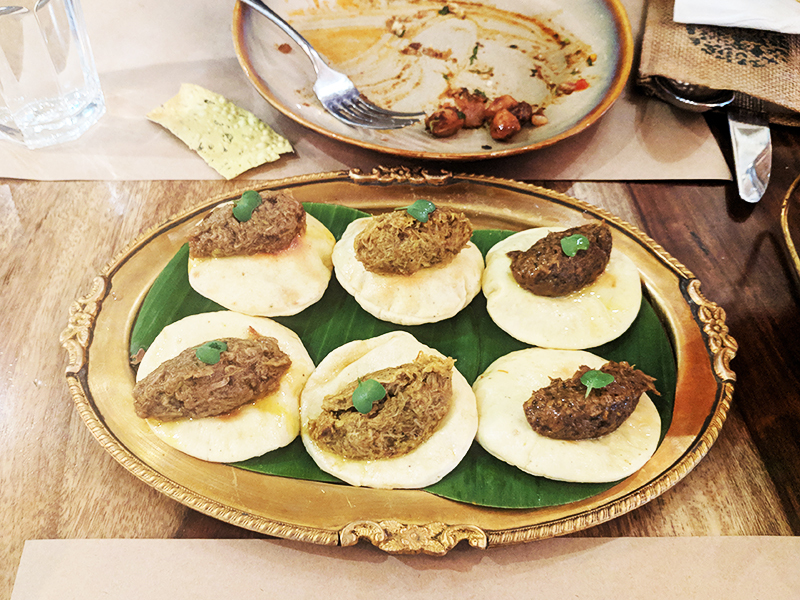 continuing my bombay reports, here is an account of the lunch i ate the day of my dinner at jai hind. 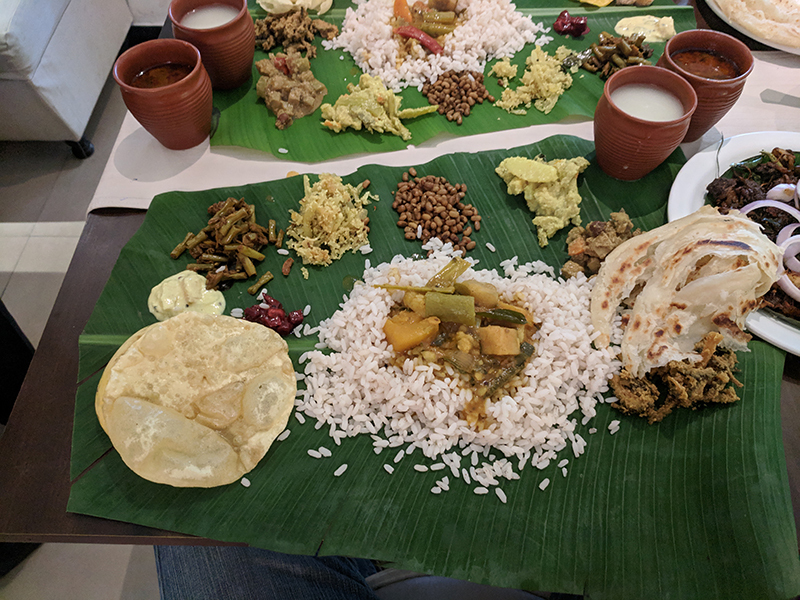 a film-maker friend who i was consulting with on my likely work in the city in three years time took me to just kerala, a restaurant in a small hotel in andheri east that specializes in the food of--you guessed it--kerala. there is nothing fancy about the food here--just good, solid malayali food. 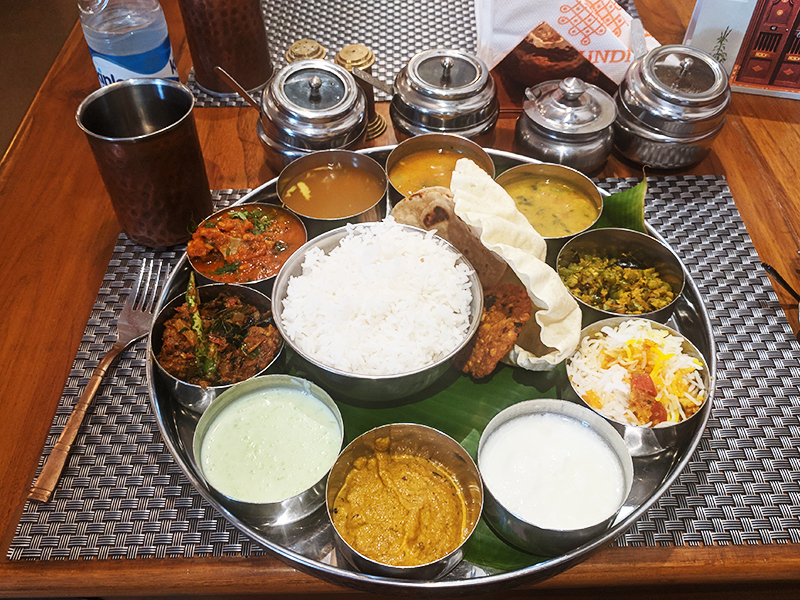 we ate the sadhya, which is basically a thali served on a banana leaf with endless refills. added on a buffalo fry (very good) and a shrimp curry (just good). full write-up here. back to bombay, back to bandra to eat goan food at highway gomantak. 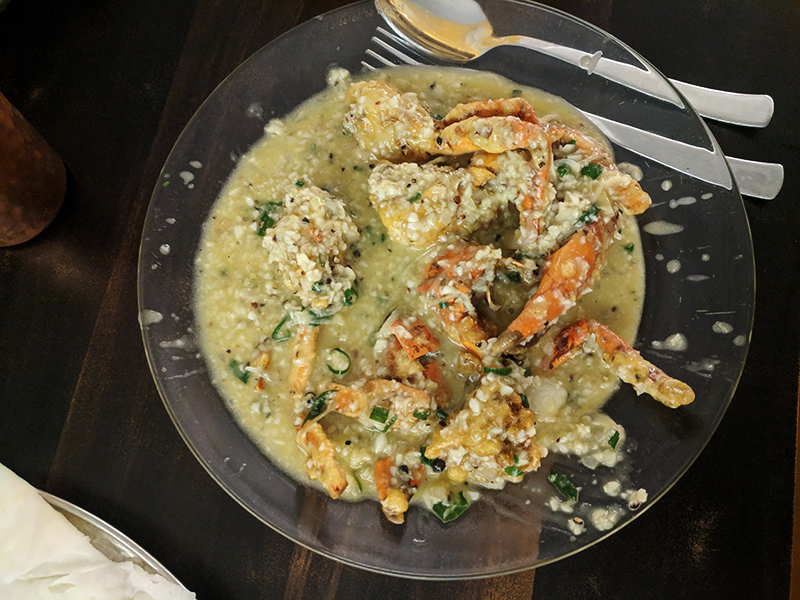 this is goan food of a kind completely unknown in north india, leave alone in the u.s. this is not the world of vindaloos and sorpotels but of fish curries and rava (semolina)-crusted fried fish and shellfish. simple, unassuming food served in restaurants whose ambience emerges from their lack of interest in ambience and service. 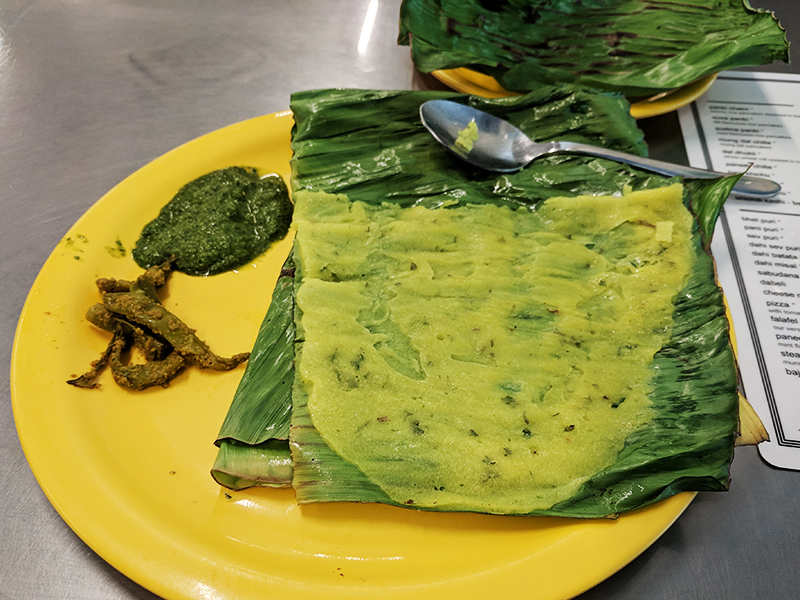 restaurants like highway gomantak are quintessential bombay dining experiences and going to bombay and not eating at a place like this is a shame. also, the food is very good. o pedro is one of two new restaurants in bombay that floyd cardoz (NEW YORKER ALERT) is involved in. the other, bombay canteen, seems to be similar to bombay bread bar in nyc. o pedro, however, is goan in focus. i ate there my first night in the city in december and liked it enough to go back one more time with a friend. the second meal was not quite as good but coming from the u.s it's hard to complain. my report. steve: please note that there is no tikka masala in my report or on their menu. won't it be funny when butter chicken tikka masala becomes a hit in India? o pedro is actually one of the few restaurants in bombay that doesn't serve butter chicken. most places have a north indian menu alongside the regional one. That doesn't sound so different from menus in the US. they're all expecting steve to show up. Mongo where'd you stay in BKC? the sofitel. oh my god, the ridiculousness. Glad to read one savvy post on this thread. So, what’s with the “3 years from now” comment? there is no butter chicken or dal makhni at taftoon in bombay but steve will still like it. the concept is north indian food as linked by the historical grand trunk road. lots of interesting dishes, familiar and some unfamiliar. a very nice space. recommended (though keep in mind i was there with a relative of the chef). in which i eat an andhra thali and say controversial things about the relative cosmopolitanism of the food scenes of delhi and bombay.